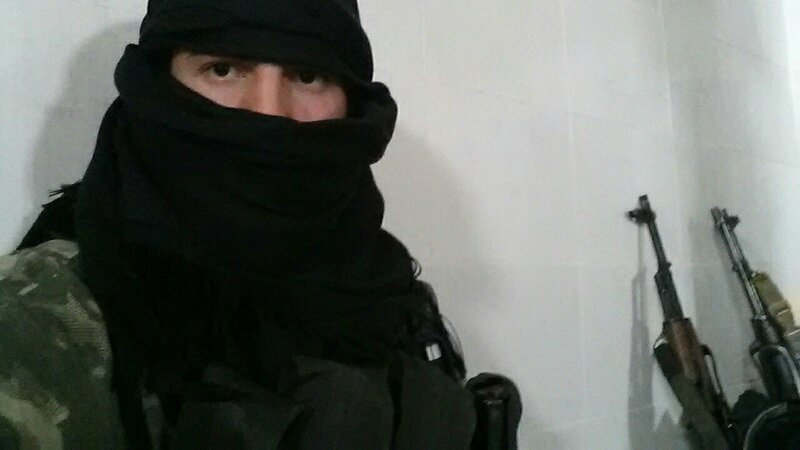 A Dutch Jabhat al Nusra (JAN) fighter who goes by the nom de guerre “Muhajiri Shaam” or “Abu Mohammed al Hollandi” has recently gained lots of traction in Dutch media. Following the US-coalition air-strikes on al JAN-strongholds on Monday, in which three Dutch Nusra fighters died, he uploaded a video on his Facebook page in which he stands in front of one of the targets hit by American air-strikes as he speaks out against the military campaign that killed “his brothers”. Visibly angry, he explains that the debris behind him used to be a place of gathering for JAN-fighters where they “would rest before going to battle to liberate the people from this tyrant, a tyrant that suppressed these people for years”. As such, he highlights a popular and growing message among the rebels, and their supporters, that the US and the West have not only ignored their plight, but also started targeting those that actually fight Bashar al-Assad. This statement elucidates how mission creep – the military campaign moving beyond its original goal of defeating IS – is perhaps the most pertinent threat to this military campaign. Strikes on JAN, Khorasan, and others rebel factions, will deliver the message to many ordinary Syrians living in rebel-held areas that the US and the West does not care about them. Their interpretation will be that Assad, and his allies, are exempt from American might whilst the Syrian opposition forces are the only ones being targeted. After all, Lebanese Hezbollah is also on the State Department’s Foreign Terrorist Organizations (FTO) list and active in Syria. This widely held perception among anti-Assad Syrians will undoubtedly push large segments of Sunnis further into the hands of JAN, including disenfranchised Sunnis across the border in the Lebanese towns of Arsal and Tripoli. Secondly, this development could wield the very dangerous, unintended consequence that it could be used by factions within IS and JAN to advocate for reconciliation between their groups. Too much has happened to merely kiss and make up after a couple air-strikes, but a continued campaign against both could eventually force both parties to bury the hatchet. Nederland zet je schrap! Er is een zware weersvoorspelling gedaan, vanuit Shaam is een HEVIGE Orkaan onderweg…. Muhajiri Shaam had more to say to the Dutch audience that could be revealing of what is to come. He specifically blames the Dutch government for taking part in this campaign against Muslims. In the end of the video, he calls upon anyone sympathising with their cause to “act strongly” against the Dutch government. Although the way he framed it does not necessarily imply that the response should be through violence, his message could carry a lot of weight. As a foreign fighter associated with al Nusra he will be regarded highly by Dutch Muslims who are sympathetic to their cause. It has yet to be seen whether his call for action resonated sufficiently for action to follow, but it certainly has provided more support for Dutch Muslims who are drifting away from the state and into the hands of Jihad. His intention to drive Dutch Muslims away from the government and follow in his footsteps became even clearer after publishing a piece in which he is highly critical of Western democracy and the government in The Hague. His eloquently formulated argument centres on the many injustices that the West has created – equating Western governance with the marginalisation and exclusion of minorities and support for dictatorships. Muhajiri Shaam even links the austerity measures on health care to the price of a Tomahawk missile, arguing that Dutch citizens will pay the price for a war designed to “preserve the rule of tyrants in the Middle East”. Interestingly, he even adopts anti-imperialist and anti-capitalist thoughts as he argues that the “greedy and unscrupulous” West has created a world in which some are forced “work themselves to death in overheated textile factories that are about to collapse” whilst others “are drinking themselves into a languid coma”. Muhajiri Shaam ends his plea with a reference to the Dutch government to “shred our passports” as instead “we shall continue to offer our lives for a State in which all Muslims are fully-fledged members of society”. Previous Did Abu Qatada strike a deal with Jordanian Mukhabarat? Next Differences on Syria to split Obama’s coalition?